We love customer requests! Our inbox overflows with your design ideas, and we're delighted to present an entire selection of new designs, each inspired by a customer's request! 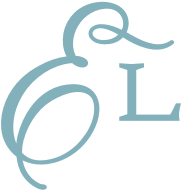 Scroll down the page to see the new designs, and who and what inspired each one. 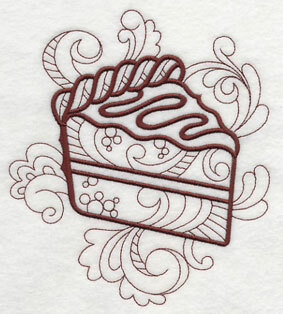 Maybe you'll embroider tea towels with the new doodle desserts, or create a gorgeous pillow with watercolor flower motifs. 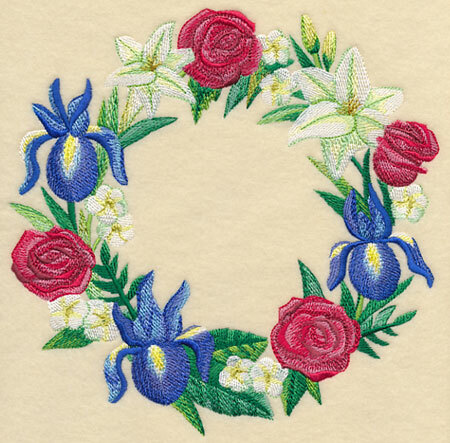 Red roses, blue irises, and white lilies are wreathed in a soft, watercolor style. 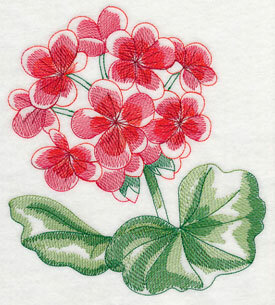 When we create these designs we begin by painting in watercolor, then digitize carefully to achieve the watercolor effect. 7.78" x 7.71" and 6.92" x 6.87" and 5.88" x 5.85" and 4.88" x 4.85"
Lisa requested red, white, and blue flowers that she could embroider to express her patriotic pride. She's planning to make a series of framed pieces to decorate her sunroom. 6.88" x 9.82" and 5.85" x 8.35"
6.73" x 11.73" and 5.37" x 9.38"
4.47" x 7.79" and 3.93" x 6.85"
Watercolor-style designs have delicate layering and shading to achieve the painted effect. 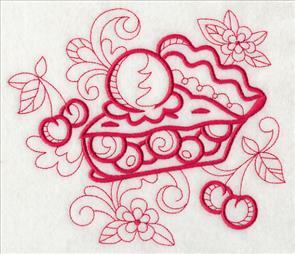 Embroider them onto sturdy fabrics -- denim, duck cloth, linen, upholstery fabric -- for excellent results. 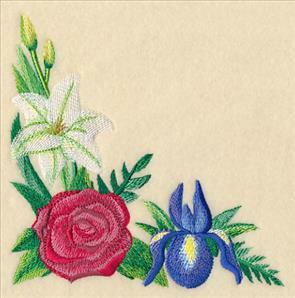 11.73" x 3.83" and 9.40" x 3.07" and 7.79" x 2.54" and 6.00" x 2.20"
Pair the corner and the single rose with the designs above to make stunning tableaus of red, white, and blue. Choose your favorite watercolor flowers from the garden above, and add them to your basket by using the links above. 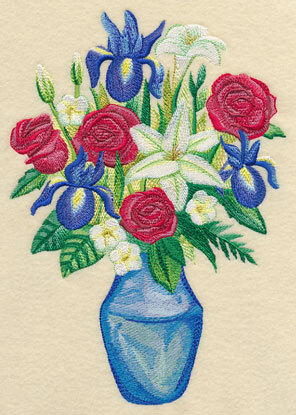 Or, get the whole bouquet in a design pack! 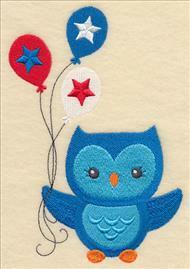 Kim had a hoot over the crafty owl designs, and she thought they'd be super in red, white, and blue. Oh how fun! We put stars on the balloons and stripes on the hats. 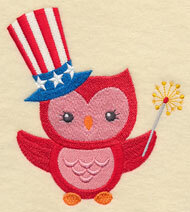 Enjoy sprucing up your summer shirts with these star-spangled sweeties. 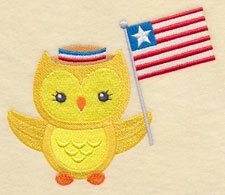 4.85" x 5.39" and 3.47" x 3.86"
These red, white, and blue owls are adorable stitched on any patriotic gear, and are especially sweet on baby and kids' embroidery projects, too. 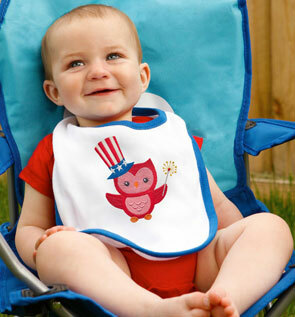 Adorn a onesie or bib with your favorite owl -- they're a great way to show your patriotic pride. 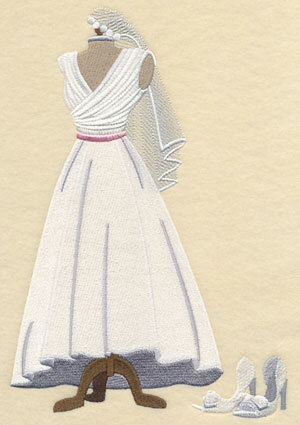 Barb loves the dress form designs that we've created in the past, and uses them in many "his and hers" projects. 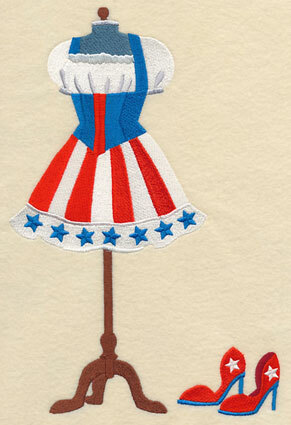 She requested two dress forms with patriotic spirit. We took her request and had a star-spangled time! 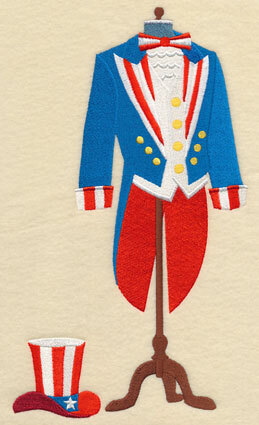 The left features a top hat and tails in red, white, and blue. The right is an adorable dress with stars on the hem, and the shoes. Thank you for sending in the suggestion, Barb! 6.26" x 10.91" and 5.40" x 9.41"
6.85" x 10.52" and 5.82" x 8.93"
4.83" x 7.41" and 4.24" x 6.51"
Joy has been looking for the perfect designs to make wedding gifts, and she requested bride and groom dress forms. Such a great idea, Joy! This pair of designs would be excellent on pillows, framed pieces, shoe bags, and covers of scrapbooks and wedding albums. 6.16" x 10.31" and 5.22" x 8.74"
6.90" x 10.12" and 5.86" x 8.60"
5.23" x 7.68" and 4.61" x 6.77"
Klondike Kate is fascinated by white peacocks. 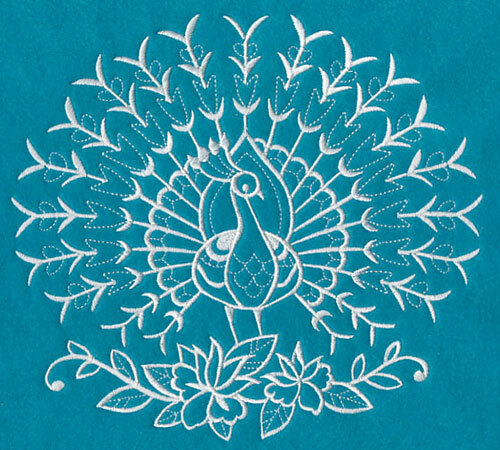 We took her idea and crafted a whitework peacock! 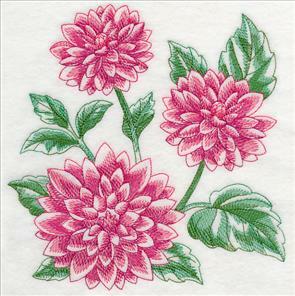 This one-color design is quick-to-stitch on quilt blocks, kitchen towels, table linens, and more. 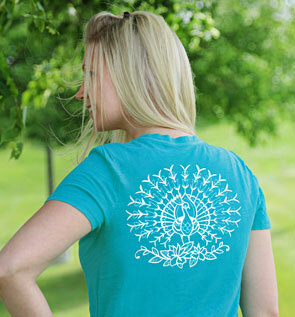 7.55" x 6.91" and 6.40" x 5.86" and 5.29" x 4.84" and 3.85" x 3.53"
This beautiful bird is majestic on a wide variety of embroidery projects, but the light, simple style especially shines on colored tees. 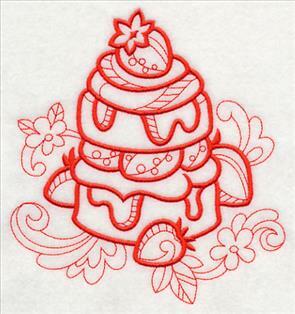 Get inspiring and informational tips and tricks for embroidering on T-shirts in this Lookbook! Cindy wrote, "I saw the heart made with teacups. That would be so cute made with spools of thread!" We definitely agree with you, Cindy -- it is cute, and it was very fun to make. 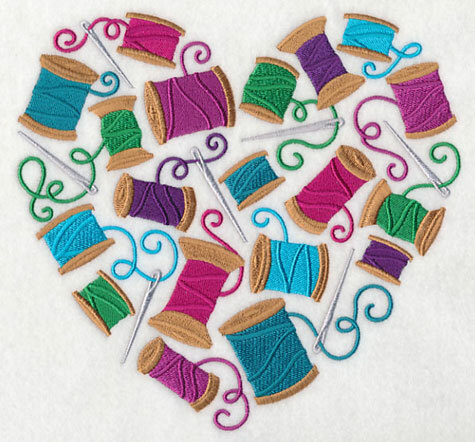 This design will be bright and colorful on cushions and crafty totes. 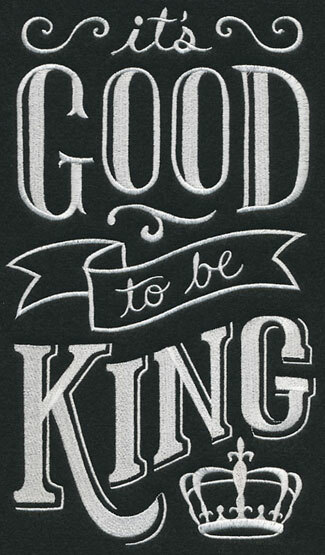 7.81" x 7.44" and 7.16" x 6.81" and 6.16" x 5.86" and 5.10" x 4.86" and 3.86" x 3.68"
Deborah saw the It's Good To Be Queen design and thought "That will be perfect for Father's Day!" Dad will definitely enjoy getting the royal treatment, Deborah. Thanks for sending in your fabulous idea! 6.85" x 11.66" and 5.53" x 9.41" and 4.59" x 7.81" and 4.04" x 6.86" and 2.28" x 3.86"
Shirley wrote, "I love all your light-stitching designs. 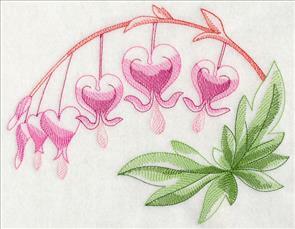 Will you make more flowers like red geraniums, bleeding hearts, dahlia, and foxglove?" 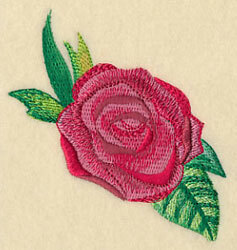 She enjoys flowers that were popular during the Victorian era, and embroidering them on pashminas. 6.90" x 7.71" and 5.85" x 6.53"
4.85" x 5.41" and 3.45" x 3.85"
These designs are light and sheer, and the background fabric will show through in some areas. Choose smooth, neutral fabrics, like tea towels or solid quilter's cotton. Steer clear of fabrics with a nap, or prints. 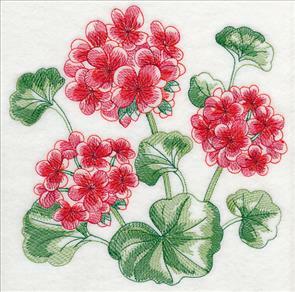 7.78" x 6.55" and 6.94" x 5.84"
5.77" x 4.85" and 3.85" x 3.24"
Use these delicate designs to dress up table linens, like placemats, runners, and mug rugs. They're also beautiful in quilt blocks and framed pieces, too. 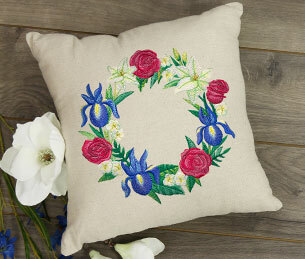 8.71" x 6.90" and 7.39" x 5.85"
6.11" x 4.84" and 3.85" x 3.05"
Gardeners will love tote bags and pillows embellished with these colorful motifs. 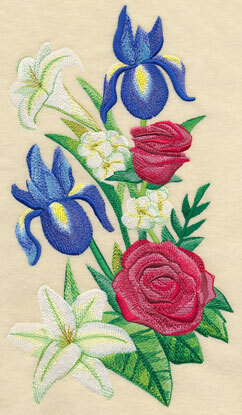 Grow a garden of colorful, creative designs on your embroidery projects today! 5.87" x 5.85" and 4.84" x 4.83"
6.90" x 10.73" and 6.04" x 9.40"
5.02" x 7.80" and 4.40" x 6.84"
In March, we released oodles of doodle designs. 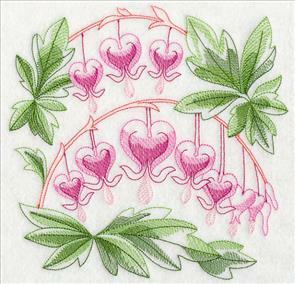 These one-color designs use a blend of running stitches and satin stitches. 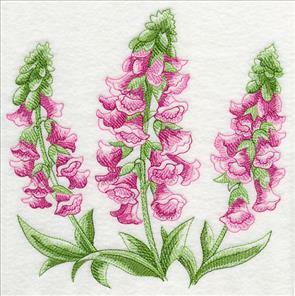 They're a fast and fun way to dress up smooth fabric, like flour sack kitchen towels, mug rugs, and quilt blocks. 3.65" x 3.85" and 2.84" x 3.00"
Sally wrote, "I love the doodle designs. 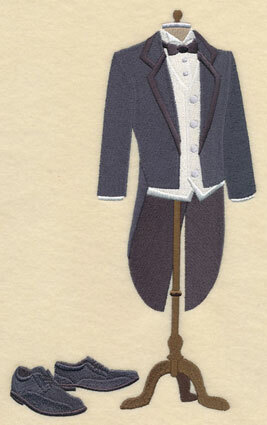 I purchased a few and they sewed out beautifully -- and so quick! I had to sew 25 squares for a quilt and they sewed out in a snap." 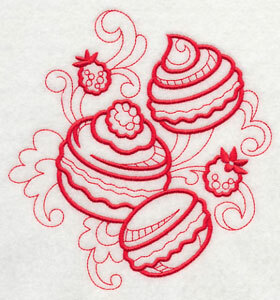 Add these tasty motifs to tea towels! 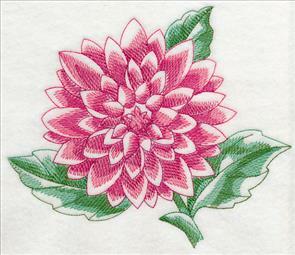 If you're new to embroidering on tea towels, this video and tutorial will be an excellent guide. 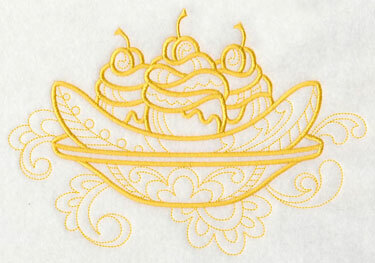 The doodle designs use only one color thread, making them fast and fun to stitch. 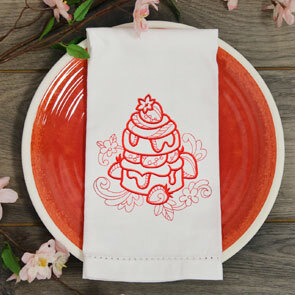 Dress up a set of placemats, mug rugs, and more with these delicious designs! 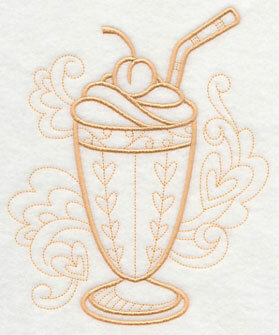 And then, Sally made the "sweetest" request: "I would love to see some more doodle designs in the dessert category: ice cream sundae, banana split, and milkshake." Oh sugar, that's an excellent idea! 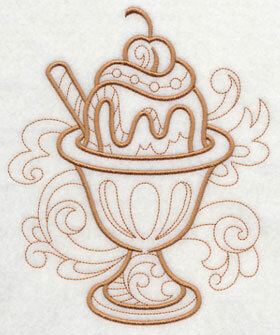 3.17" x 3.87" and 2.45" x 3.01"
We made seven new doodle desserts for you to add a tasty look to your kitchen. 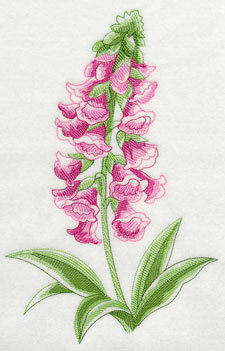 Stitch on placemats, mug rugs, coasters -- and make a set of day of the week kitchen towels, too. Thank you, Sally, for sending in the terrific idea! 8.37" x 5.85" and 6.85" x 4.79" and 3.85" x 2.69" and 2.99" x 2.10"
and the cameo frame is stylish and elegant. 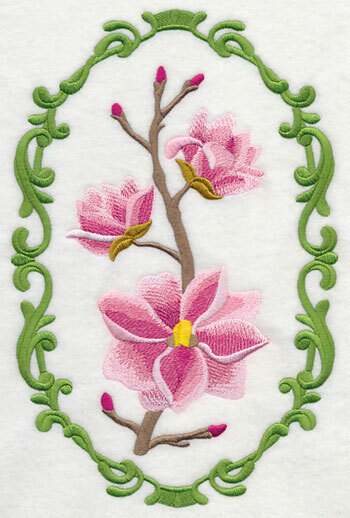 She asked for one of her favorite flowers -- the magnolia -- to be featured in a cameo. Thanks for the suggestion, Sandy! 6.90" x 10.42" and 5.85" x 8.84" and 5.17" x 7.81" and 4.55" x 6.87" and 2.56" x 3.86"